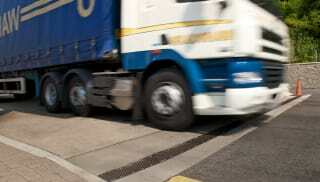 Simple in design and easy to install, grate drains form part of our extensive linear drainage range. 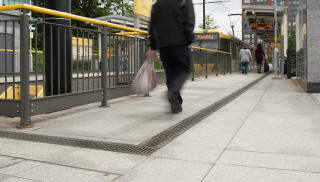 Linear drainage grates are an effective addition to commercial and urban developments, providing an efficient and sustainable water management solution. They are adaptable and can either discreetly slot into your landscape vision or be used to make a design statement. The Birco linear drainage system is made from high-quality precast concrete and channels surface water into the relevant phase of any water management system. 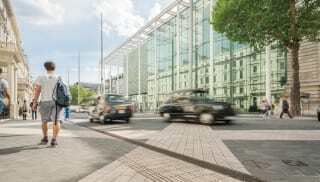 The galvanised steel grating running along the top ensures strength against loading capacities, making it a suitable addition to busy city streets. 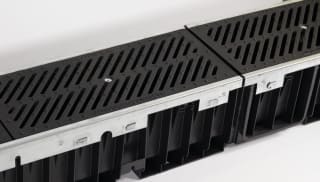 If your design calls for a high-capacity grate drain, look to the Max-E-Channel range for a heavy duty integrated surface water solution. Browse Marshalls’ linear drain gate options now, or get in touch with one of our team to discuss sustainable drainage solutions.